Operating mainly in the Yorkshire and North Derbyshire areas, I.S Property can arrange every aspect of your sale, purchase and finances all in one branch, whether its a free market appraisal you need or a Home Information Pack we can help. Moving home is said to be one of the top five most stressful things to do in life so here at I.S Property we aim to take the stress away for you. I.S Property's highly experienced sales and customer service team will be there to guide you through every step of your move. I.S Property's commitment to sell and let our clients properties in a pro active way comes from the experience of our team. Jamie started his career in property in 2000 as a trainee mortgage advisor for a small Estate Agency in Barnsley. He soon realised that his passion was in the selling of properties and moved over to the Estate Agency side as a trainee sales negotiator. In 2001 he was approached by one of the leading Agency's at the time to cover the Market Appraisals in Rotherham, Barnsley and Doncaster. His recent move to I.S Property is the result of Jamie's belief that I.S Property is the agent to sell your house with in the current market. David's start in the property business came from him buying his first buy to let property in 2002. Over the following years David built up a substantial rental portfolio. As he dealt with tenants and property issues friends and family asked David to look after their rental properties and a lettings business was created. David knows the pros and cons of being a landlord and looks after his Landlords properties and interests as if they were his own. Michelle has like her husband David years of experience in property rental. She provides the lettings team the much needed support in the day to day running of an efficient letting agent. After retiring from the army after 25 years service Ian moved to Barnsley with the intention of buying investment property. After meeting David they teamed up to create a successful mortgage brokerage which specialized in property investment. 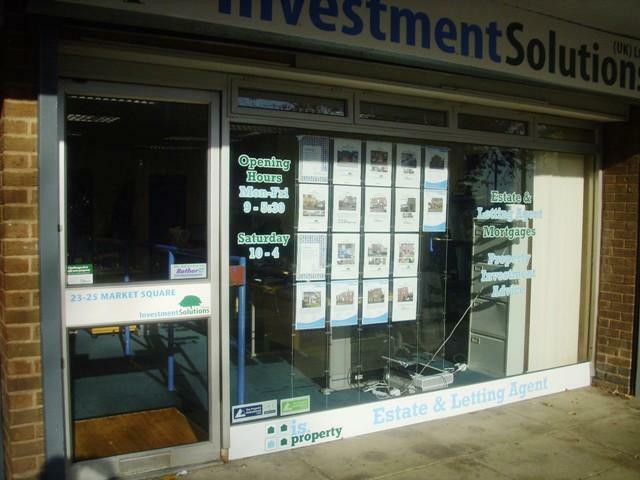 We currently have 20 properties, 70% for sale and 30% for let. On average. We have properties between £80-£500,000. No upfront fees % or fixed fee payable on completion.